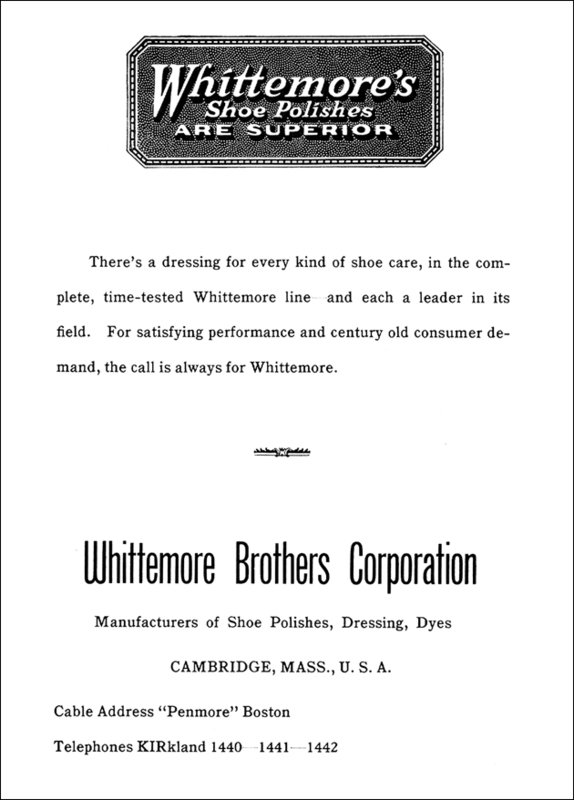 The Whittemore Brothers Corporation was established in 1852 by David and Joshua Whittemore. The Cambridge-based company manufactured various shoes stains, including shoe polishes and pastes, meant for the treatment of leather footwear. By the early twentieth century, the firm expanded its line of products to include Cleanall, a detergent created to remove grease from fabrics, automobile interiors, and fenders. By 1930, the Whittemore Brothers Corporation employed over 150 people in its Albany Street factory (Stone, 1930).